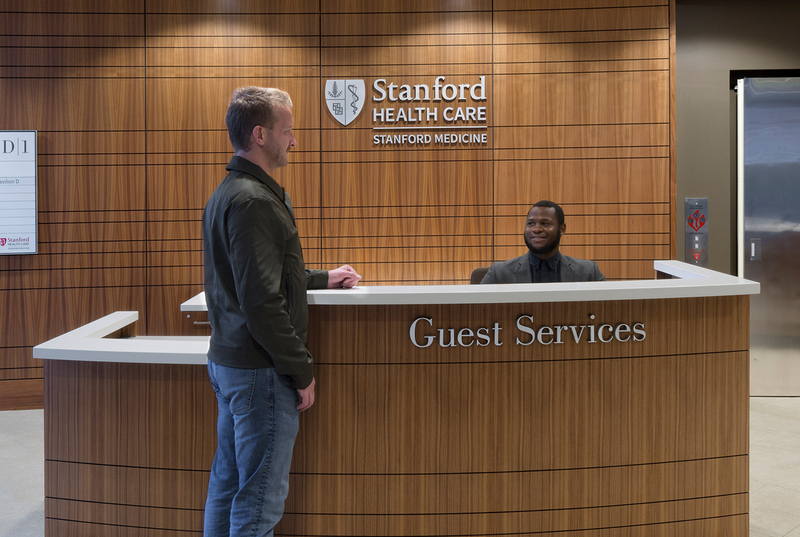 Opened in 2009, the Stanford Medicine Outpatient Center was the first major satellite location outside the main campus in Palo Alto. 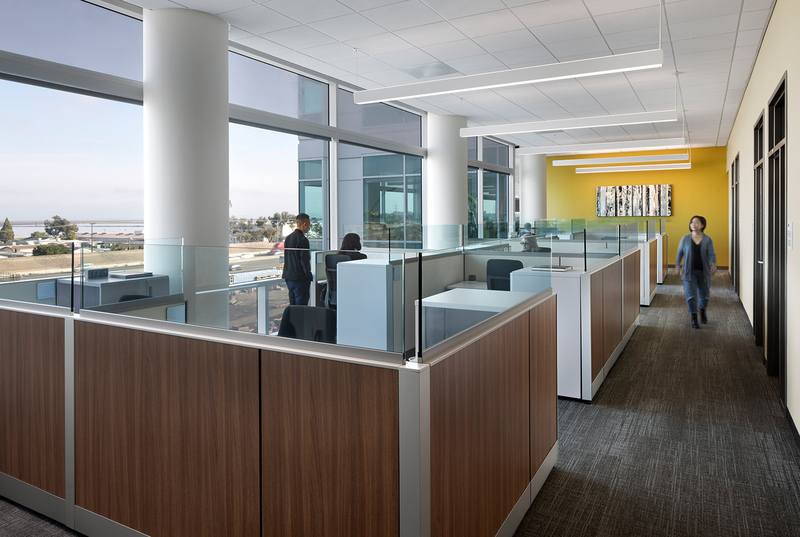 Its four white and glass buildings — originally built in 1999 for a broadband internet company — are prominently located just off of highway 101, with views across the freeway to the salt flats of the San Francisco Bay. 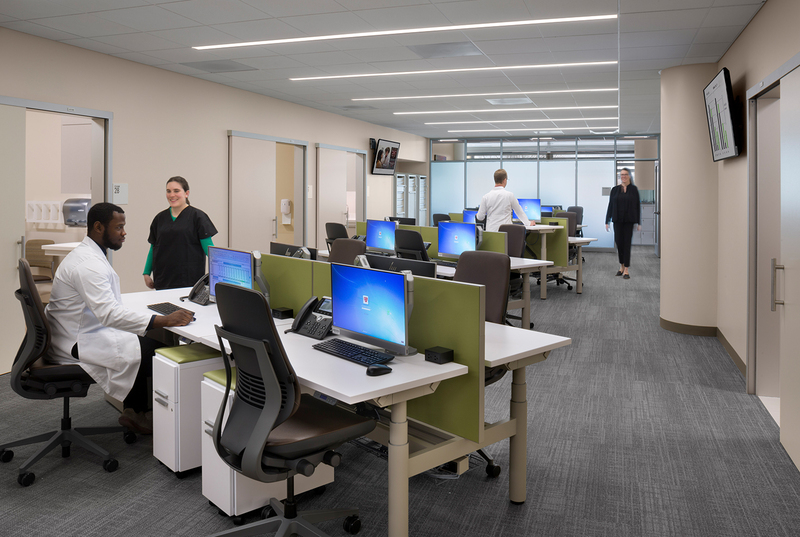 Orthopedic and associated specialties, as well as Radiology, Labs, Dermatology, and Sleep Clinics, occupy three buildings while the fourth structure, Building “D”, was leased “as is” for offices. 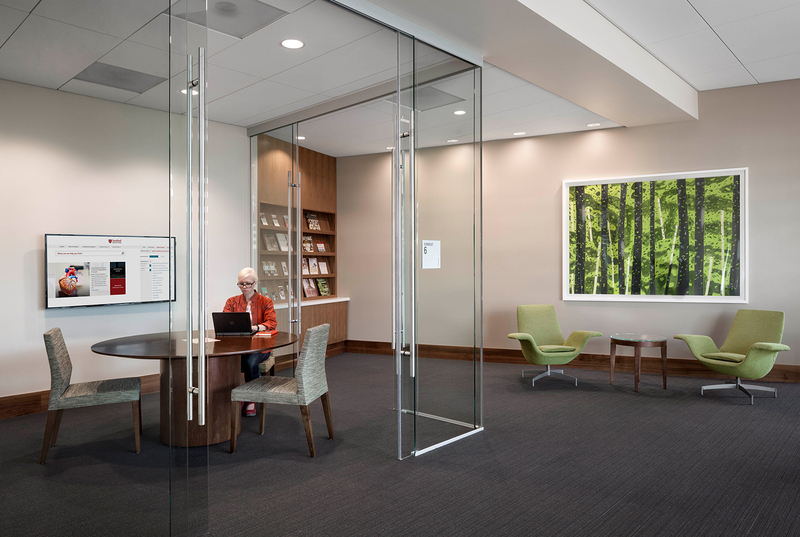 In collaboration with ZGF, TEF began work on renovations to Buildings B, C, and D in 2015. 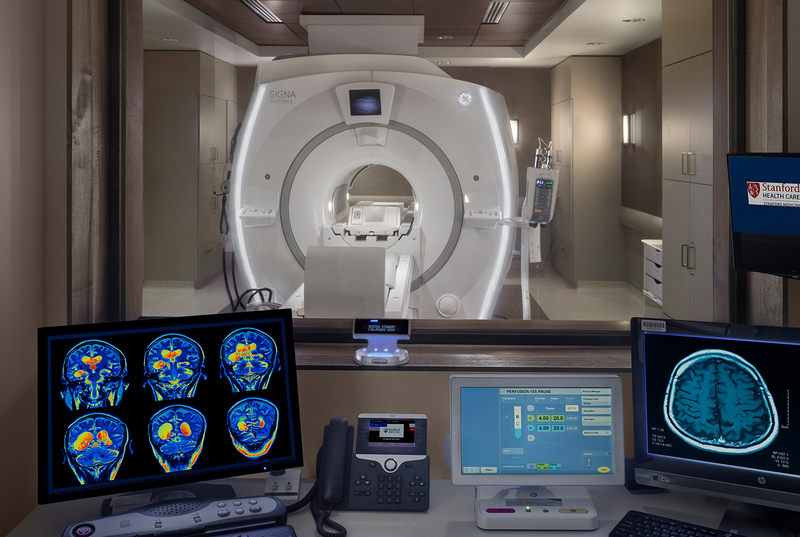 TEF’s scope includes a new MRI in Pavilion B and public spaces and administrative offices totaling 21,000 sf. 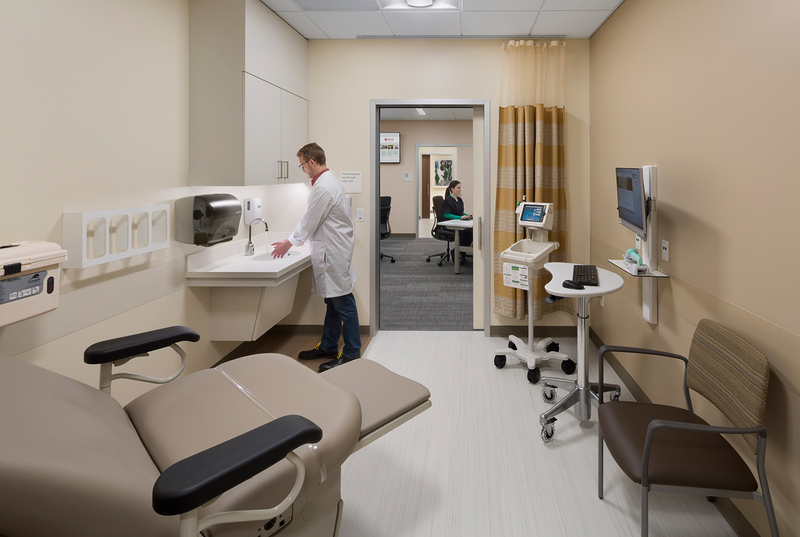 for the GI, Anesthesia and general administration groups in Pavilion C. TEF also designed the finishes for Building D, comprising three floors of clinical, OSHPD 3 facilities for the Radiology, Ortho, GI, and Uro/Gyn/Pelvic Floor clinics totaling 87,000 sf. 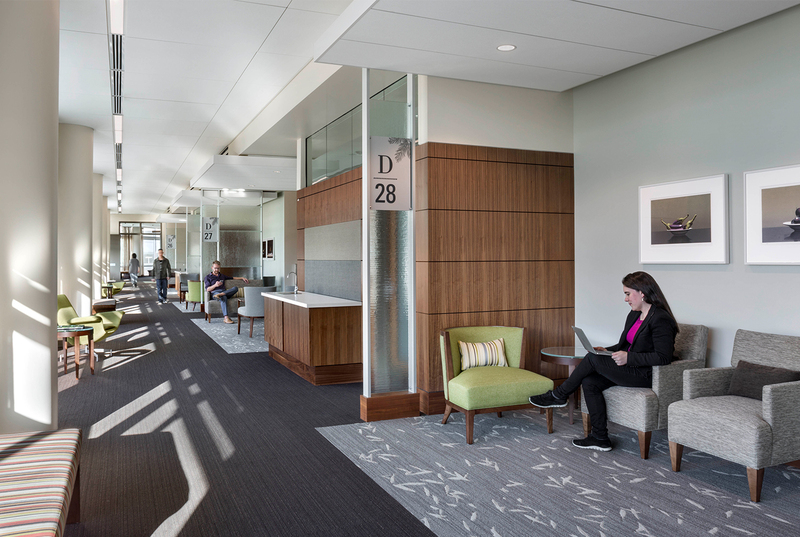 The interior design concept provides a warm and neutral interior with the character of a hotel, accented with bright spots of color incorporated through furniture upholstery and art. 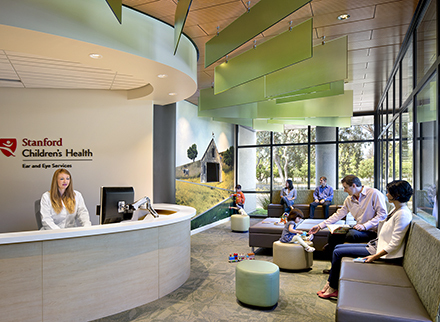 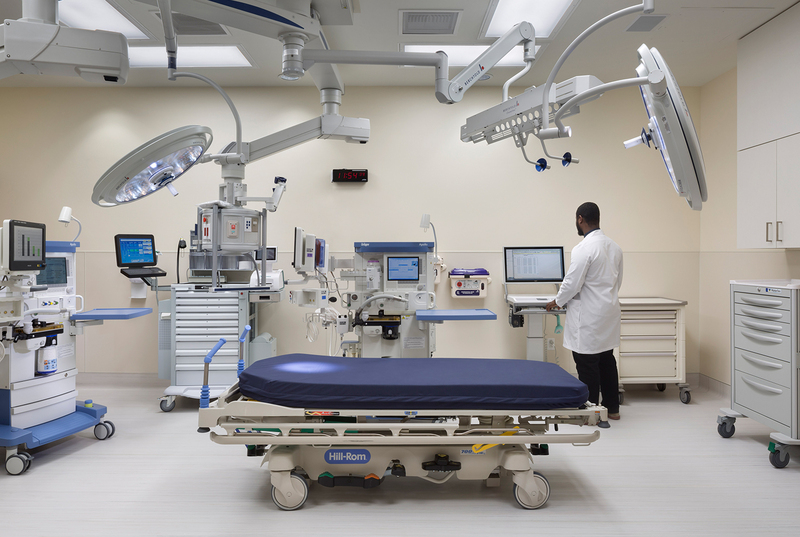 The highly-detailed interior reflects the high quality, high-touch care of the Stanford Health Care brand. 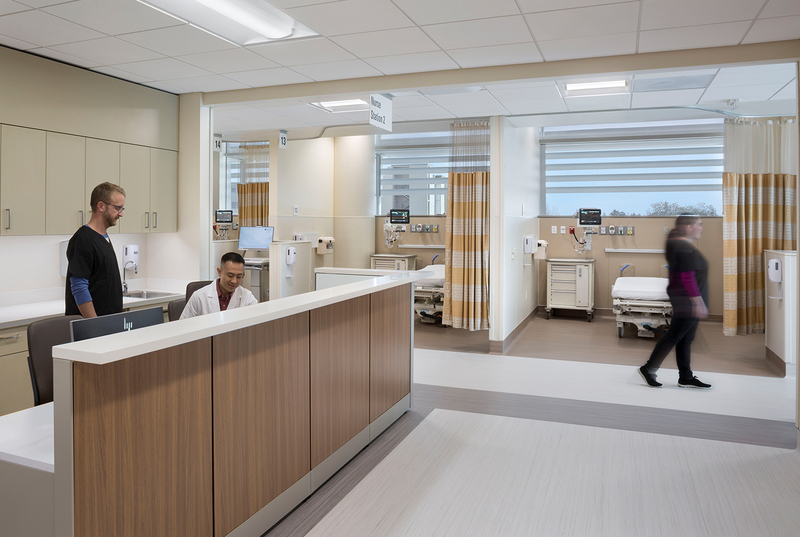 TEF’s challenge was to design new interiors visually consistent with the original design, within the constraints of the new program, while integrating improvements based on the experiences of living in the existing building.